Contemporary handmade platinum gold engagement ring. This unusual ring is set with a 0.75ct FVS1 GIA certified round brilliant cut diamond. 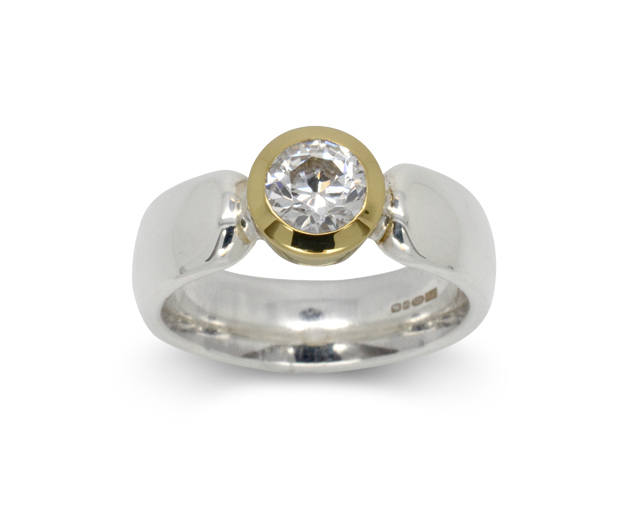 This Platinum Gold Engagement Ring is also available in other metals and with alternative stones. Made for you in our workshop on the crossroads in Ditchling, East Sussex.